Our customer service representatives are passionate about making sure your boat is completely taken care of. From start to finish, we are here to answer your questions and get you the help you need. Need a home for your boat at the new destination? We’ve got connections to harbors and docks that will hold your boat until you can pick it up. We can also help you find a new home for the boat anywhere in the world. Our GPS enabled shippers keep us informed of where your boat or yacht is at all times. In addition, every transport is locked, secured, and monitored 24/7 by transport staff and on-site security. Rest assured that your boat will arrive safe and sound. Our customers speak for themselves about our quality. Check out what our customers said was their favorite quality of our service. Whether you’re going cross country or international, we’ve got the network of transport services to make it happen! You can count on our award winning services to make sure your vessel arrives on-time, safe and secure. We realize that shipping boat can be a big ordeal, but it doesn’t have to be. We can help answer your questions and explain every part of your boat’s journey. Our customers ask great questions, many of which are helpful to future customers. We’ve found it to be really helpful to write articles informed by these questions and provide as many answers on our website as possible. No matter how far the transport journey may be, we have the experience to simplify and clarify the whole process. That’s what we are here for: reliable, safe, affordable boat transport services. 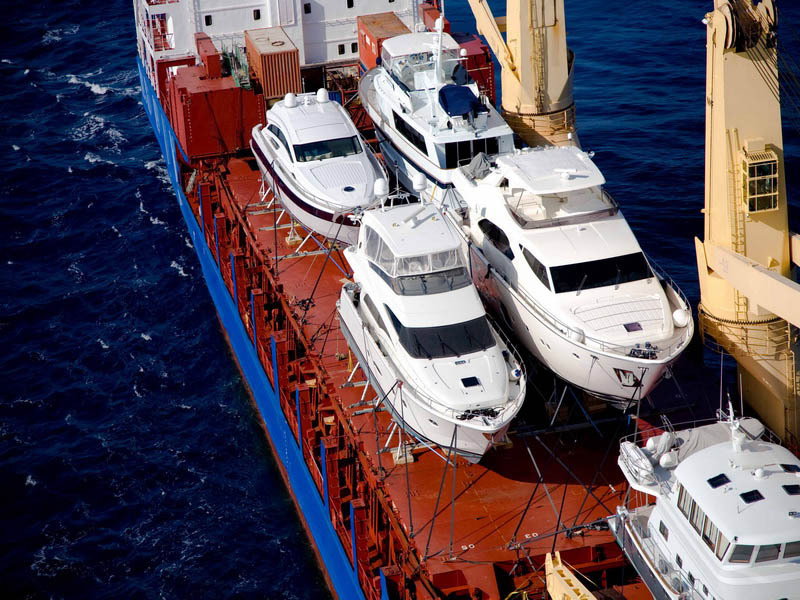 It’s easy to see why our customers give us the highest recommendations for all of your yacht and boat transport needs.